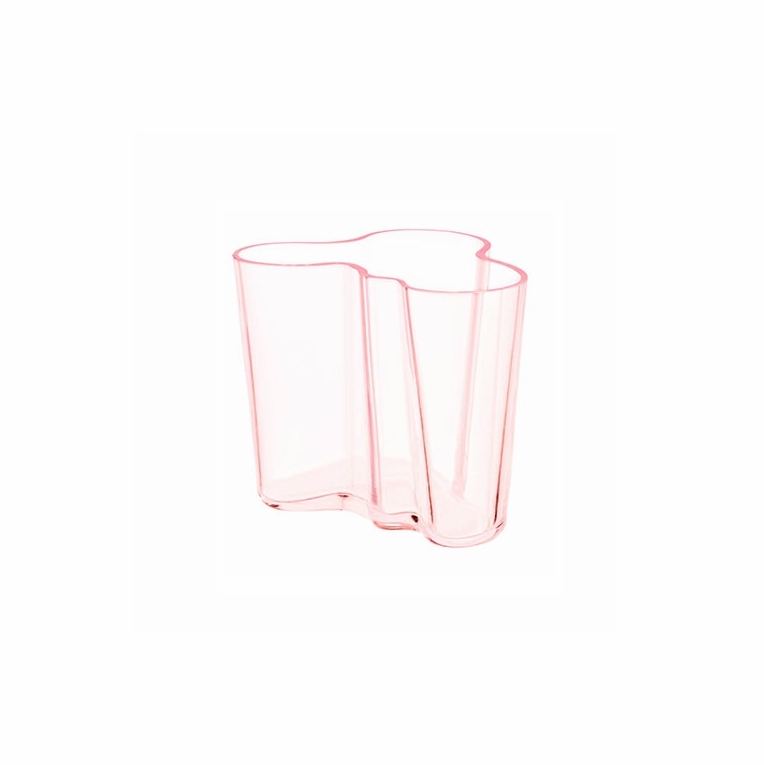 Short but sweet, the iittala Aalto 3-3/4" Salmon Pink Vase is a pink-tinged vision as its smooth silhouette glistens in the light. The famed wave-shaped vase was designed by Alvar Aalto and upon its introduction in 1936, it stunned crowds with its innovative shape. A true testament to Aalto's expertise, the unique design has become a timeless piece that continues to wow every admirer. Perfect for displaying fine floral bouquets or display it on its own, however you use it, this fine piece of glass will look fantastic.The Story of a Classic.